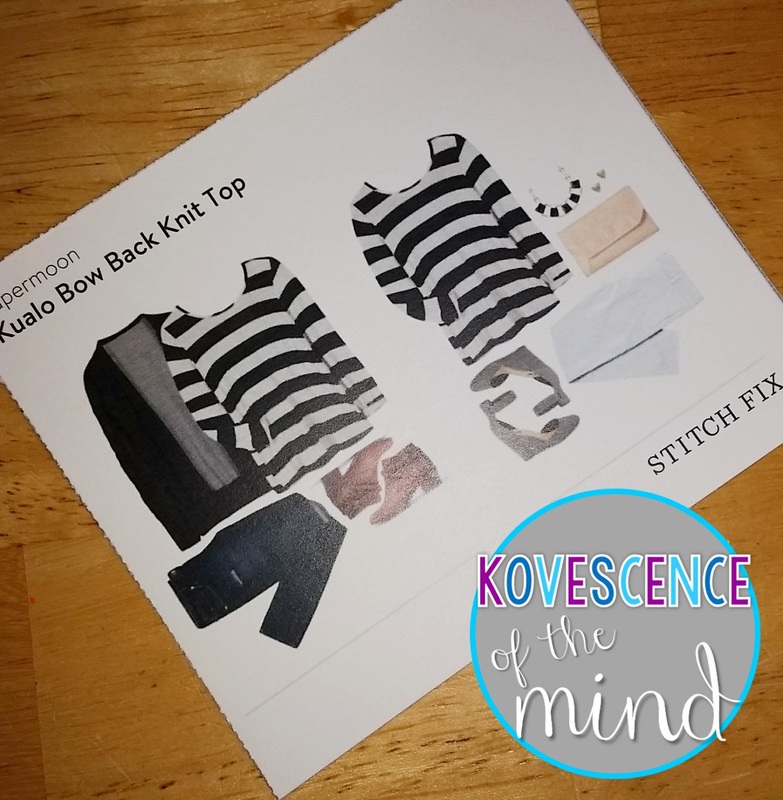 I really do like Stitch Fix service. I know that my wardrobe has gotten a boost from getting one of these boxes a month. 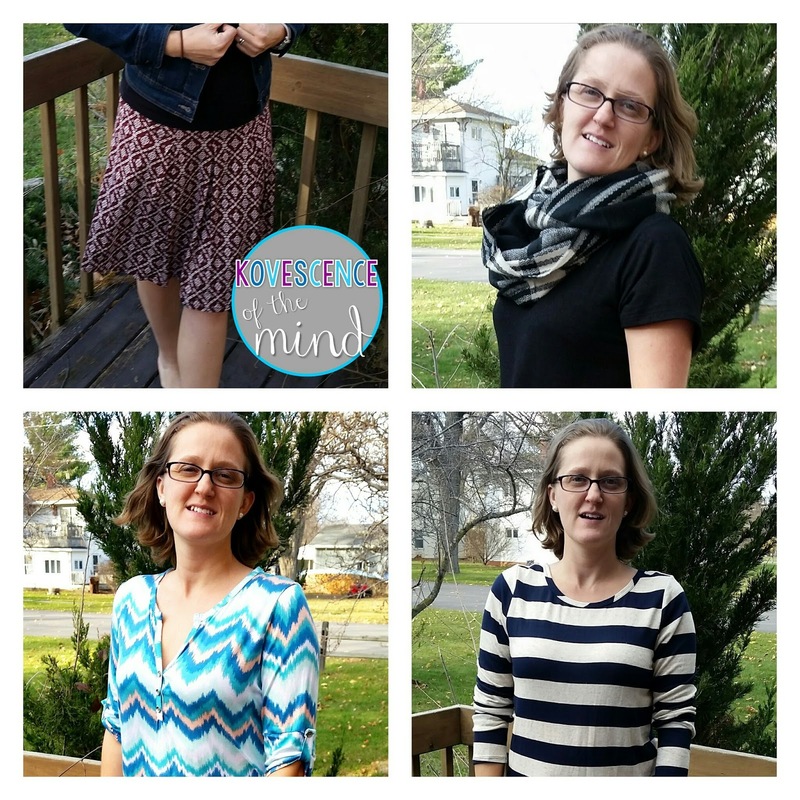 It is a styling service that for $20 (which gets credited towards any items you keep) you get five items hand-selected for you by a stylist. You fill out a style profile and link a Pinterest board, so your stylists know what you like. If you are interested in trying out this service, please use my referral link as I can get credit for sending you their way. After a slightly disappointing box in October, I took my husband's advice and requested nothing specific, and I got pieces that were very much my style. I did request a more inexpensive fix as mine have been running in the $300 range, and I wanted to see what a lower price point would be like. My stylist sent a great note with lots of suggestions which I appreciate. The first two items I pulled were the black shirt and infinity scarf. 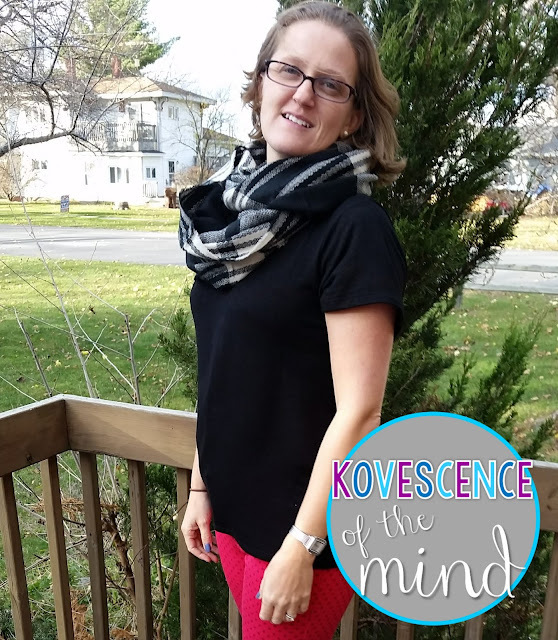 I prefer infinity scarves over regular ones, but I have several black shirts in different styles. 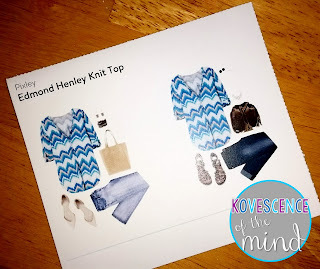 I paired these with a pair of hot pink leggings from Old Navy. I really like bright colors, so these pants are one of my favorite pairs. The scarf was a great pattern. I have been wanting a plaid scarf and the black cream color combination will work with numerous items in my closet. I do wish it had been a little longer as it bunched up when wrapped twice. The shirt was also nice, but it was a little big on me. I probably would have been better with a medium. Also, the scarf smelled funny- has anyone ever had a piece smell funny? I know a wash will fix that, but it was off-putting at the time. 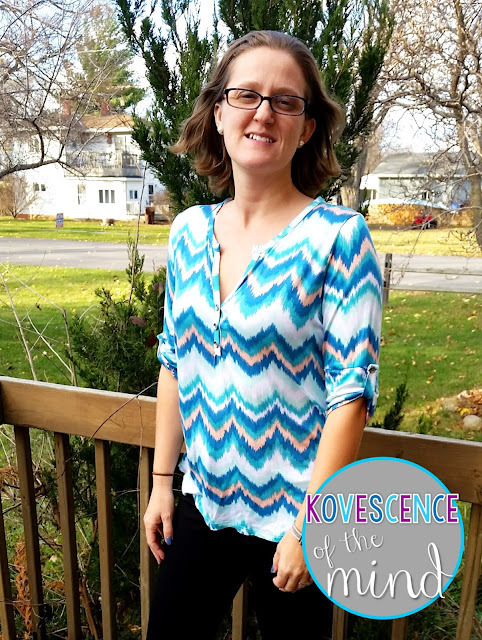 This top was promising when I pulled it out of the box the texture, colors, and cut looked to be right up my alley. I paired it with my new black pants from The Loft. 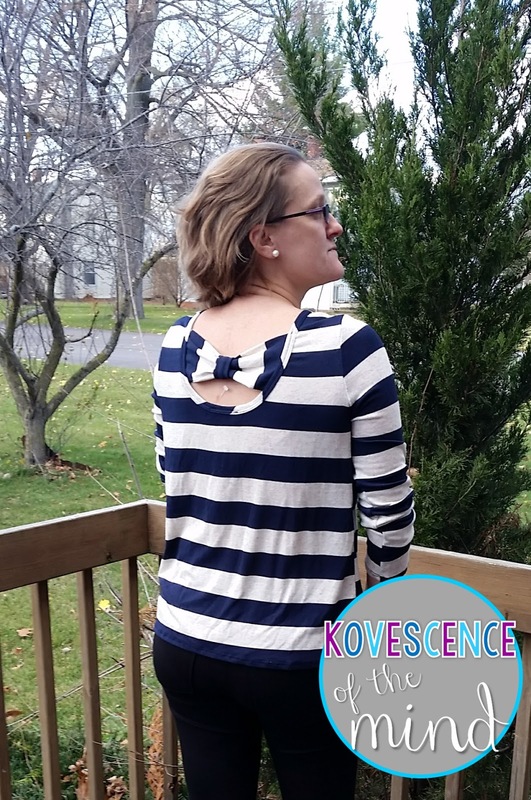 From the front this shirt looks fairly mainstream, but the back has this great bow detail that elevates it from a standard 3/4 sleeve top. I had to laugh that the style card had white pants on it...it is currently snowing here in Michigan, so that style wasn't happening. While it was a cute top, it wasn't going to work for me because I really prefer my back covered because I'm always cold and have some scares from teenage acne. Also, I really try and stay away from horizontal stripes if I can help it. The third top in the box was perhaps the most promising for me. The pattern and bright colors alone drew my attention when I opened the box. I paired this with the same black pants from The Loft. The shirt was soft and of a good length. 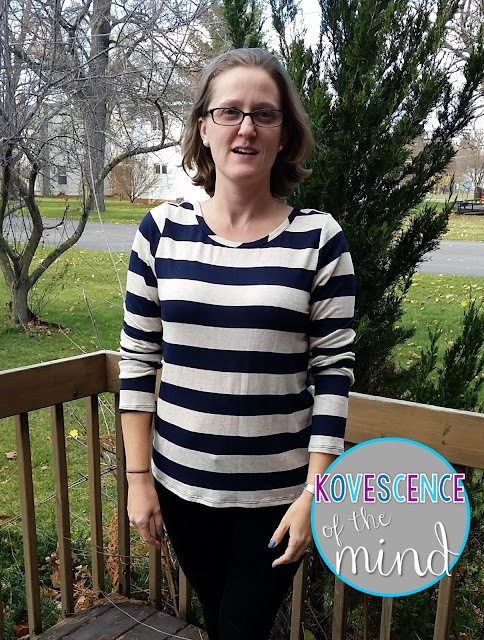 I can see it working in all seasons as it is thin enough for spring and summer, but it is roomy enough for a cami underneath. I also got another skirt. 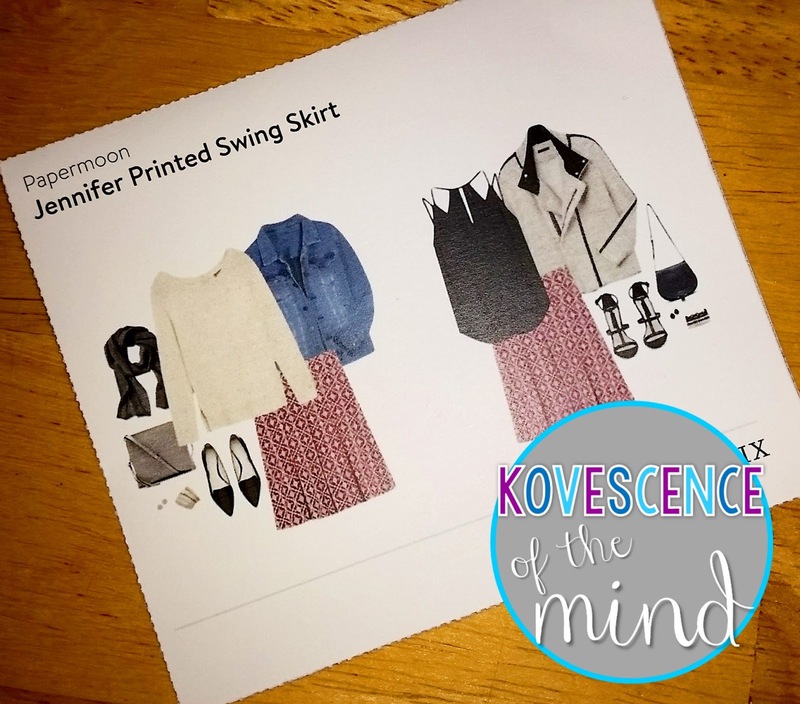 Now the first skirt I got was not a winner, but the second one was, so I was anxious to see what this one would be like, especially as I don't own many skirts. The color and pattern didn't blow my skirt up (pun totally intended), but I don't own a swing skirt, so I gave it a try. I originally styled it like my stylist suggested with the hi-lo shirt and the scarf, but that was not working, so I didn't even take a photo. Then I asked for my husband's help, and we struggled together. 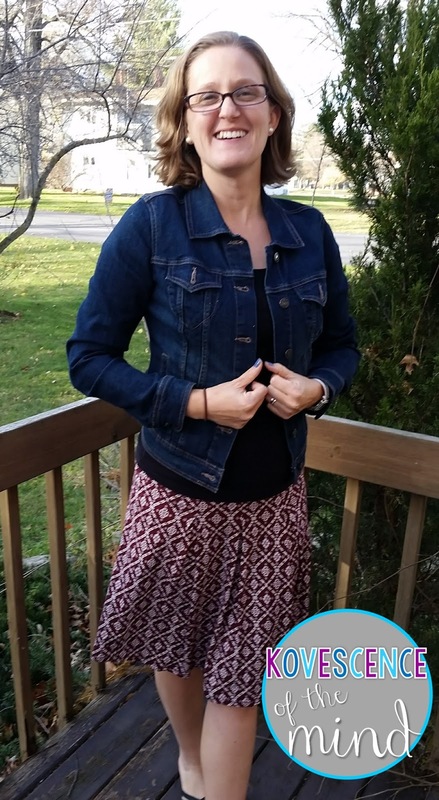 It wasn't until I asked my 14 year old daughter how to style it that I got what you see above: black tank and her jean jacket (I still haven't found one I like and that fits). Once she got my in that I actually really liked the skirt. My biggest concerns with the skirt were that it was a little big around the waist and WINTER IS COMING. I knew I wouldn't get much wear out of this until spring, so it was hard to justify keeping it. 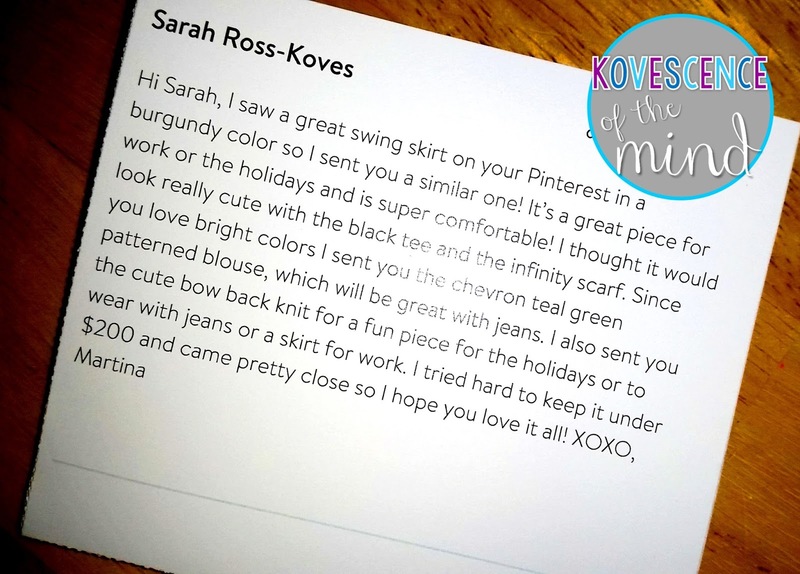 I am probably taking December off from Stitch Fix, but stay tuned for my next note to my stylist. 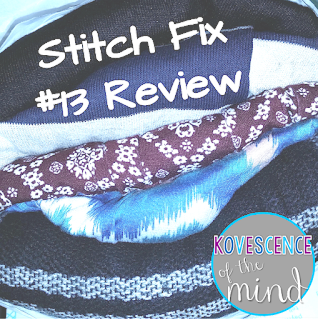 Follow Sarah's board Stitch Fix Board on Pinterest. 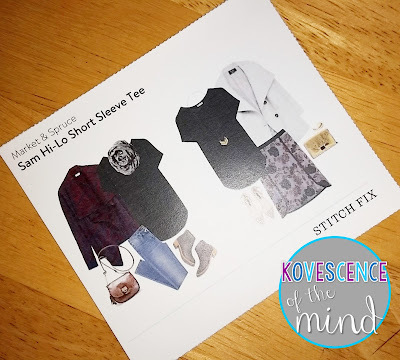 If you are interested, please use my referral link as I get a credit for letting you know about Stitch Fix. 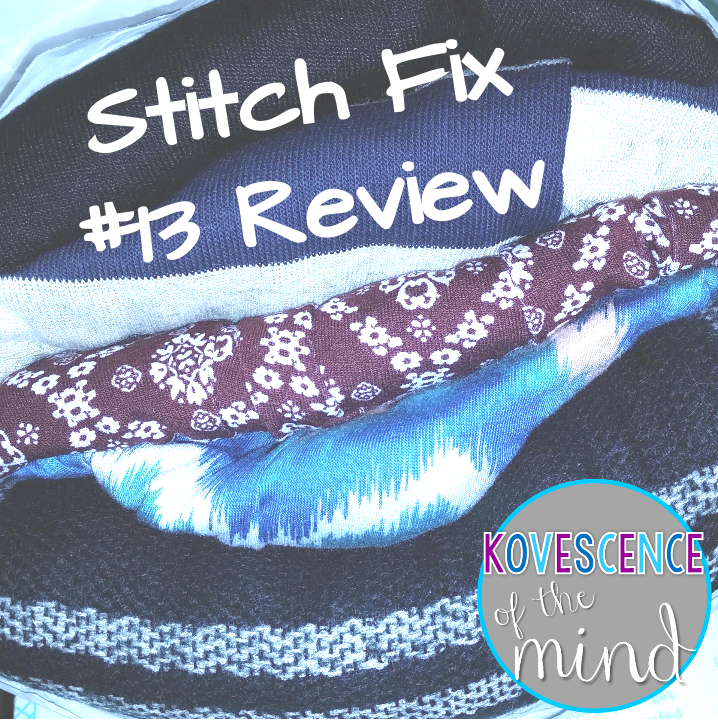 I would love to know more about you in order to help you more: Do you Stitch Fix already? What brought you to my post? What kinds of pieces should I try in my wardrobe?